For users who dual boot Ubuntu 16.04 and Windows, you may find the clock time is off that causes time differences after you reboot and switch between the two systems. Here’s how to fix it. 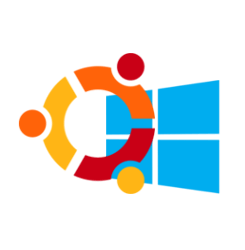 Ubuntu maintains the hardware clock (RTC, real time clock) in universal time (UTC) by default while Windows maintains the clock in local time, thus causing time conflicts between Ubuntu and Windows. To fix it, either set Ubuntu to maintain RTC in local time or make Windows uses UTC. In previous Ubuntu editions, you can edit the config file /etc/default/rcS to disable UTC. you’ll the local time zone is in use in the Warning section. Finally restart and switch to Windows, adjust system clock time if need and done. go to Start Menu, search for and launch cmd as Administrator. Disable the “internet update” for the time and reboot. I have made changes in Ubuntu 16.04 and corrected the time window 10. It has worked wonderfully. Thank you for the suggestion. I added the QWORD manually to Windows-10 using Regedit, just in case it did not work and I had to back out. This “RealTimeIsUniversal” switch used to be in Windows 7 & 8. For some reason, MS has taken it out of Win 10. I wonder why.. I noticed that my BIOS time has now automatically switched to UTC from my local EST (UTC-5). Up to now I had always kept my BIOS clock set to local. Now, both Ubuntu 16.04 and Win-10 will adjust to my local time whenever they are booted. I have to F8 at Grub menu now on my Windows 10 to get it to boot. I may have some software that does not like this change. I will try the adjustment on the Ubuntu side. I removed the Windows time adjustment, and then applied the Ubuntu adjustment. Works! Thanks for posting both approaches! **Just after selecting Windows 10 in Grub, press down and hold the F8 key. Works great, thanks! That old method does not work anymore.